Opening a stuffed animal manufacturer. Do you want to open a stuffed animal manufacturer? If you want, you can take a look at the next content and help you set up the manufacturer. From the aspect of the processing flow, it is divided into orders, cutting, sewing, filling cotton, inspection and so on. 1. The first is the ordering material: the ordering material is when you receive a single sheet, the required materials, this involves the problem of calculating materials. Previously, it was all manual calculations. Some experienced employees were counted. The material engineer used the previous experience to roughly calculate the required materials. Now more of them are using the typesetting software. It is recommended to buy a calculation typesetting software because the software will not go wrong. Will be wasted, so the cost will be much higher, a penny of goods, the calculation of typesetting software recommended to buy a little better, the first is the speed, a set of ten minutes can be calculated in one step, good The calculation of the typesetting software will also be relatively high. 2, The cutting process is generally used; laser cutting machine, automatic perm machine, perm cutting machine, punch, electric scissors. 3, The main advantage of laser cutting machine is that no plate making and the cutting distance is 0, so it is also very material, but the speed of the laser cutting machine is very slow, can only do 40 or 50 dozens of goods a day, so it is only suitable for small production. Goods and maintenance costs are relatively high, mainly because the laser tube needs to be replaced frequently, about 4 months or so will be replaced. 4, Automatic perm machine and perm cutting machine is mainly able to replace artificial perm, easy to operate, speed is also very fast, can do hundreds of dozens of goods a day, relatively speaking, a machine that is more suitable for mass production, the lack of is still Need to do the version. If the factory uses artificial perm, then you can consider buying an automatic perm machine or perm cutting machine. Nowadays, it is more and more difficult to find, the labor cost is getting bigger and bigger, and the personnel is not stable, and the technical requirements of the perm process are relatively high. If the perm work is not done well, it will cause a lot of consumption, which will cause losses, and the machine will not have these problems. 5, The punch is now relatively common, the speed is fast, can also do a few hundred hits a day, but the consumption is also more because the spacing of the punch is 5-6. The key is still too dangerous, it will be estimated to be less used later, the punch can be replaced by other machines, such as the ironing machine. 6, Electric shear is more suitable for some large and regular cloth cutting, its speed is also faster, only limited, for some irregular or smaller pieces, is not easy to get. 7, Sewing, then use the sewing machine, the best choice! 8. The cotton filling machine is the same as the sewing machine. Ordinary cotton filling machines can now buy a few thousand dollars, and there is also a cotton filling machine that can intelligently control the amount of cotton produced each time. 9, The eye-catching machine is also a device that can be considered, the industry is now more used is the kind of pneumatic eye-catching machine. 10, The main part of the inspection is the needle detector, this must be. The manufacturer must have experienced production and processing personnel and designers in order to continuously reform and innovate. 1. Market Positioning: Only professional, can be strong, seize the market, and create the most professional company that produces and sells plush toys. 2. Product positioning: to create high-quality products; quickly on the goods, leading the tide embroidery. Enhance the competitiveness of the industry and increase the research and development of new products (for example, Fruit plush toy, Vegetables plush toy, Holiday plush toy…). 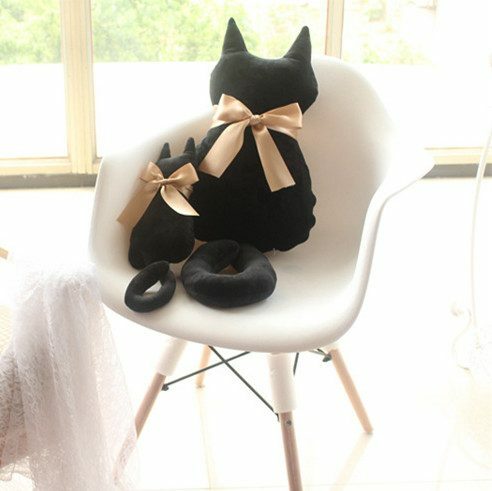 The original plush toy product model is improved, especially some large plush toys, the expression is more abundant, and the design is more realistic. At the same time, in line with the trend of entertainment consumption, in addition, in line with the customer’s procurement needs, a variety of plush toys with more electronic technology content, such as voice control, electronic control, etc., should become the mainstream of development. 3. Price strategy: In marketing, the price is a very important factor to impress buyers. We can give certain discounts according to the quantity and type ordered by the purchaser, and strive to obtain customers at the most satisfactory price, and also can carry out preferential activities. 4. Marketing channels: In addition to the regular channels of products, online sales of this modern marketing method is full of unlimited business opportunities. Opening an online store on the Internet is equivalent to opening the toy store to the whole world, becoming the biggest highlight of the two years of stuffed animals.